Being the end of the year, and having a new source of stone for trail work, we’re allocating some of our collected donations on a delivery of stone. You’ll see a new load of stone that was delivered on Tuesday in addition to the previously staged pile intended for the Confluence Trail. 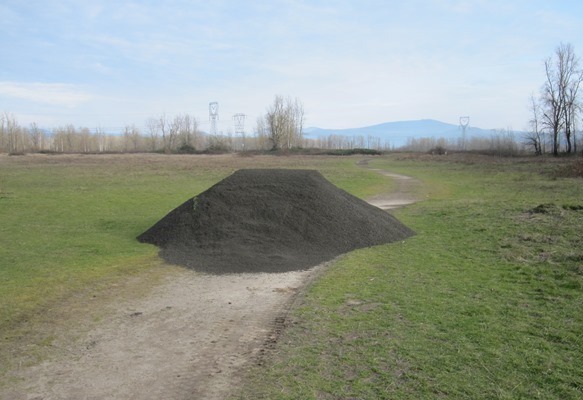 This new load will be for our projects as we continue work on the Meadow trail. There will be yet another delivery in short order for additional work on the Boundary trail. We’ll try to place the stone in a less obstructive spot. We are only staging this stone for now as we won’t have a work party before the end of the year due to time commitments. We anticipate looking for a good weather window late January into February, so these piles will be on-site for a possibly a couple months. Our apologies! For those who would like to help during the work parties, please click contact or watch this site for when we schedule.